The relationship between aid and state building is highly complex and the effects of aid on weak states depend on donors’ interests, aid modalities and the recipient’s pre-existing institutional and socio-political conditions. 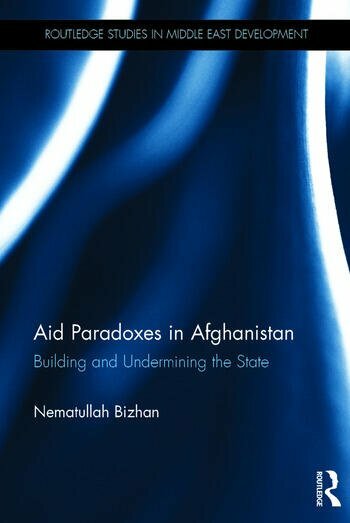 This book argues that, in the case of Afghanistan, the country inherited conditions that were not favourable for effective state building. Although some of the problems that emerged in the post-2001 state building process were predictable, the types of interventions that occurred—including an aid architecture which largely bypassed the state, the subordination of state building to the war on terror, and the short horizon policy choices of donors and the Afghan government—reduced the effectiveness of the aid and undermined effective state building. By examining how foreign aid affected state building in Afghanistan since the US militarily intervened in Afghanistan in late 2001 until the end of President Hamid Karzai’s first term in 2009, this book reveals the dynamic and complex relations between the Afghan government and foreign donors in their efforts to rebuild state institutions. The work explores three key areas: how donors supported government reforms to improve the taxation system, how government reorganized the state’s fiscal management system, and how aid dependency and aid distribution outside the government budget affected interactions between state and society. Given that external revenue in the form of tribute, subsidies and aid has shaped the characteristics of the state in Afghanistan since the mid-eighteenth century, this book situates state building in a historical context. This book will be invaluable for practitioners and anyone studying political economy, state building, international development and the politics of foreign aid. Nematullah Bizhan is a Research Fellow at the Oxford University’s Blavatnik School of Government. He is also a Senior Research Associate at the Oxford University’s Global Economic Governance Program and a Fellow of Asia Pacific College of Diplomacy and Crawford School of Public Policy at the Australian National University. He has a PhD in Political Science and International Relations from the Australian National University and was previously a high-level participant in the post-2001 government of Afghanistan.